Spring Grove is located in York County, Pennsylvania. With a population of just over 2,000, Spring Grove is a tight-knit community that offers many of the amenities you might find in larger cities. Spring Grove’s small-town charm coupled with its affordable housing lures residents to this scenic town. Housing choices range from charming 100-year old historic homes to the new homes featuring the latest amenities. Spring Grove’s Historic District reflects the town’s history. Residents have carefully preserved history with over 200 buildings located in the Historic District. There are more than 12 buildings total that are listed on the National Register of Historic Places. Schools in Spring Grove provide excellent opportunities for learning beyond the classroom. The School District is recognized for its quality education programs. With its beautiful scenery, interesting historic sites and lots of outdoor activities, this small Pennsylvania town simply is the perfect place to call home. Located on the banks of Codorus Creek, Spring Grove was laid out in 1747. The town is located midway between Hanover and York City. Spring Grove was established in 1853. In 1882, Spring Grove was officially incorporated as a borough after the residents of the community successfully petitioned the County Court. The community has since grown in area as a result of the surrounding land being annexed. Throughout its history, Spring Grove has relied on its natural resources of iron and wood to fuel growth and economic opportunities. An iron manufacturer founded a forge at Spring Grove in the 1770’s after noted the presence of iron ore, water and wood. The manufacturing of Iron had increased by the mid-nineteenth century. At that point, there were nearly 200 tons of iron being produced in Spring Grove each year. The iron forge stopped operating dried up by the early 1850’s and the buildings were used for manufacturing paper. In 1865, the paper mill plant by purchased by Glatfelter who successfully operated the mill for years. The growth of the borough since the 1860’s were a direct result of the success of the mill. Even today, the mill dominates the community's social and economic life. Located about twenty minutes from Spring Grove, Perrydell Farm is a family-owned local farm serving the area. In operation since the 1960’s, the farm offers famous chocolate milk and unique ice cream flavors, such as Pineapple Upside Down Cake. This park offers close to 3,500 acres of outdoor activities. It has a 1275-acre lake perfect for fishing, swimming and boating. Birdwatchers will enjoy spotting many species of shorebirds and waterfowl. In addition, there is a swimming pool, campground and picnic area. Visit the Tour Center at Harley-Davidson’s Vehicle Operations Plant in nearby York to get a behind-the-scenes look at the manufacturing and assembly of Harley Davidson motorcycles. Visitors can also sit on current production motorcycles and visit the gift shop for Harley-Davidson souvenirs. There is even a specially designed area for kids called Kids Corner. There is not a bad seat in the house at this 5,200-seat baseball stadium that is home to minor league baseball team the York Revolution. Families will love spending time together watching a game of baseball at this ballpark. There are a variety of attractions, promotions and entertainment at each game. The Spring Grove Area School District serves Spring Grove, Jackson and Codorus and several other towns in the area. Spring Grove is an excellent school system, valuing diversity and treating all students with dignity and respect. Spring Grove School District provides each student with an engaging and safe learning environment in which they will be challenged to achieve their full potential. Within the district, there is a high school, middle school, intermediate school and three elementary schools. There is also a stadium, indoor swimming pool and track facilities as well as various ball fields. Spring Grove has a distinct four-season climate that provides for a variety of outdoor activities. Residents enjoy boating and swimming in the summer and snow tubing and ice-skating in the winter. In addition, there are over 198 sunny days per year, on average in Spring Grove making it the perfect climate to enjoy these numerous outdoor activities. Spring Grove, a charming sleepy town, offers residents numerous outdoor activities, a close-knit community highly regarded schools. To learn more about this charming community, contact Re/Max Quality Service Inc. real estate group for more information. 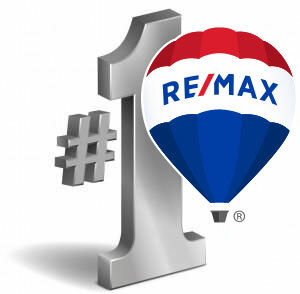 Re/Max Quality Service Inc. is dedicated to providing top-notch professional assistance to home buyers and sellers.